Sun Fiberglass Pool installed by Debnar's Pools and Spas. Check back soon for our early season specials. Fiberglass pools offer a low-maintenance option for pool installations. They are quick to install, beautiful and will outlast a vinyl liner by years. They are compatible with all filter systems and the life time cost is lower than the alternatives. 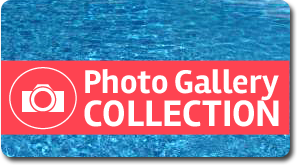 Debnar’s Pools, Spas, Lawn & Garden sells and installs Sun Fiberglass Pools. 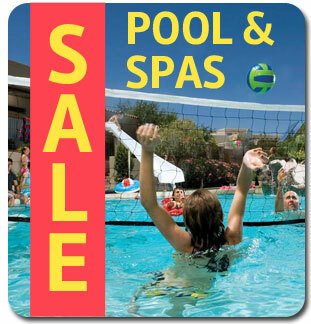 They offer the “Best Pool Value Under the Sun” offering swimming pools, spas, leisure low-cost, in-ground pools. 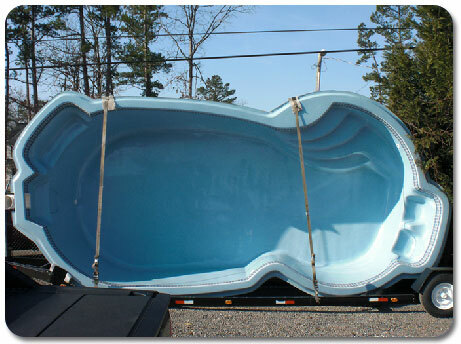 We are the only dealer offering 18’ wide Fiberglass Pools in the Pittsburgh and surrounding areas. Debnar’s Pools and Spas provides Turnkey Pool Installations throughout western Pennsylvania. 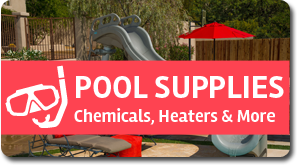 With a wide variety of different models ranging from spa’s to family-sized pools, Sun Fiberglass has something for every application and budget. Why A Sun Fiberglass Pool? 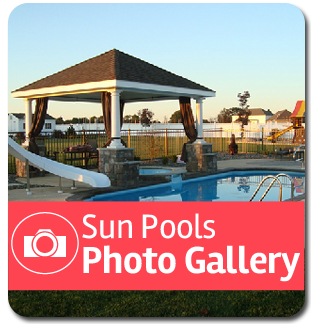 With a large variety of features, Sun Pools offers your personal choice of size, shape, and colors. Choose from a variety of different colors and patterns. See details at the manufacturers website. The Sun Fiberglass Pools are built in the factory and arrive on site with a finished shell ready to be installed saving weeks of construction time. The pools surface won’t need to be replaced like a vinyl liner pool. Lowest operating costs of any inground pool !!! From shallow end entry level steps, swim-outs and waterfalls, the Sun Fiberglass Pools offer beautiful features. High grade marine color finishes available in 3 choices on a marine FRP resin product. Lifetime Structural Pool Shell Warranty for each hand crafted pool shell and a 3 year warranty on the interior surface. Debnar's Pools and Spas has been installing pools in Western Pennsylvania for over 30 years. Call our office for your consultation. BioGuard, Hayward, Interfab and more!